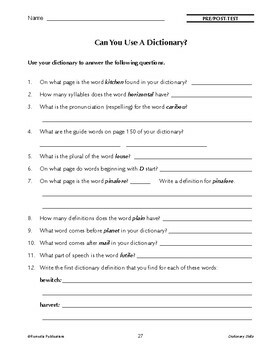 Develop dictionary skills one guide word at a time. 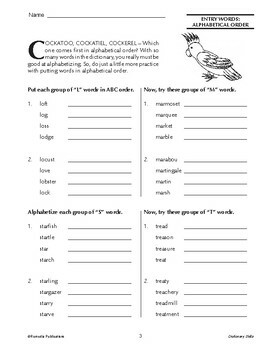 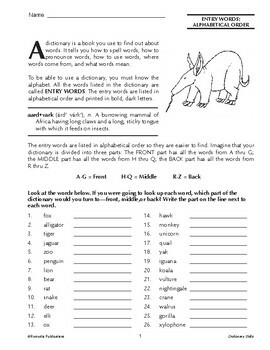 The 8 lessons cover alphabetization, entry words, definitions, spelling, and more. 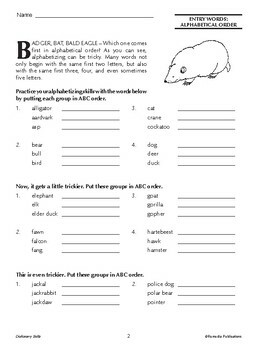 Pre/post-test and answer key included.